Kai, Good news to all parents. 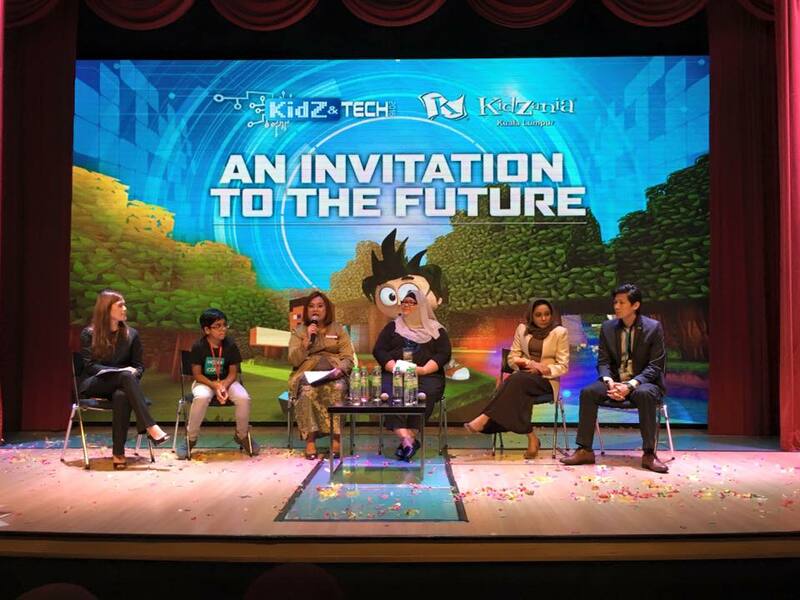 Positive Parenting in collaboration with Kidzania Kuala Lumpur is bringing another forum for parents. Let's Talk Teens will guide us especially Mom with teenagers on how to face and survive their teenage years. There will be 2 sessions for 2 days i.e. on 28th May, 2016 (Saturday) and 29th May, 2016 (Sunday) from 12.30pm to 3.30pm. On Saturday, the topic will be on Sheer Driving Pressure: Navigating Your Way with Teens by Dr Alvin Ng, Clinical Psychological and Kids and Gadget: Finding a Balance by Dr Yong Junina Fadzil, Consultant Paediatrician. On Sunday, the topic will be on Building Resilient Teens with Character: It's Easier to Build a Strong Child than to Repair a Broken Adult by Mr Alexius Cheong, Behavioral Psychologist and Talking about Birds & the Bees by Dr Rajini Sarvanathan, Development Paediatrician. Free admission for 1 Adult & 1 Kid and limited to 100 seats per day. Normal price applies for any additional kid or adult ticket purchase. One caller can only book for 1 slot. Phone bookings are open now till 26th May or for the first 100 seats per day, whichever earlier. Please call 1-300-88-5439 and provide them your name, NRIC no., email address, phone no. and your kid's name and mykid no. and the day that you preferred. Registration on both days open from 10am till 12pm. You can bring your child to go in earlier to play for free and at 12.30pm. please proceed to the stage area for the talk while your child could enjoy their play times. Goodie bags were given to all parents that had attended the talk. Other terms and conditions apply. 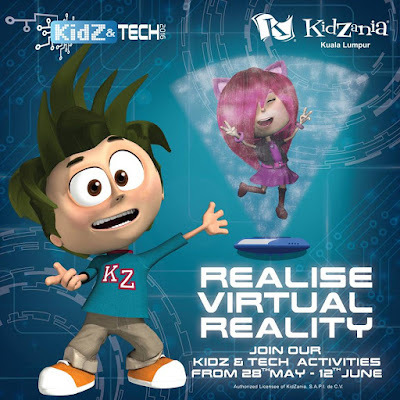 Kidzania also having KidZ & Tech Program from 28 May to 12 June where our children get to experience a series of interactive workshops, themed role-play opportunities and online activities that bring the future within reach. Developed in collaboration with partners, Microsoft Malaysia, Sasbadi Holdings, Panasonic, Malaysian Communications and Multimedia Commission and Multimedia University, the entire program is a collection of activities designed to inspire interest in science and technology. These activities are aimed at helping children to develop problem-solving and computational thinking skills, which will serve them well as adults. Mommy Jane had attended the last talk on March and had benefited with the information given. Mommy Jane had practised what had learned and had applied it to my eldest Angel, CM. Her attitude had change for a better now and Mommy Jane knew her true feelings and how to overcome her since there is a transition period to teenager now. The talks also had taught me to teach my other children too. With so much of benefit, Mommy Jane had registered to attend the talk on Sunday, 29th May, 2016. We, as a parent, need to be with our little ones to teach, guide and understand them during their growing up period. I must admit that my relationship with my Little Angels are getting better now and I'm sure all of you will see the positive results after the talk. Zank-U for visiting my post here and Z-U soon. Thanks for the information, can meet you at kidzania again. Sounds really interesting in finding out more about each other and deepening ur relationships. Everest, once we learned to understand them more, then the relationship will be better. Thats why all parents are encourage to attend. Iday, agreed with you. New or old, should not stop on learning for the benefit of our little ones. Looks like an interesting talk. Haven't brought my kids yet to Kidzania - waiting until they are a bit older! Farena, Kidzania had few dept for toddlers too. You might want to check it out. Good initiative. The talk looks impressive and free entrance to KidZania is another good thing. Rainbow, Kidzania had done a good job to reward all parents to attend the talk. 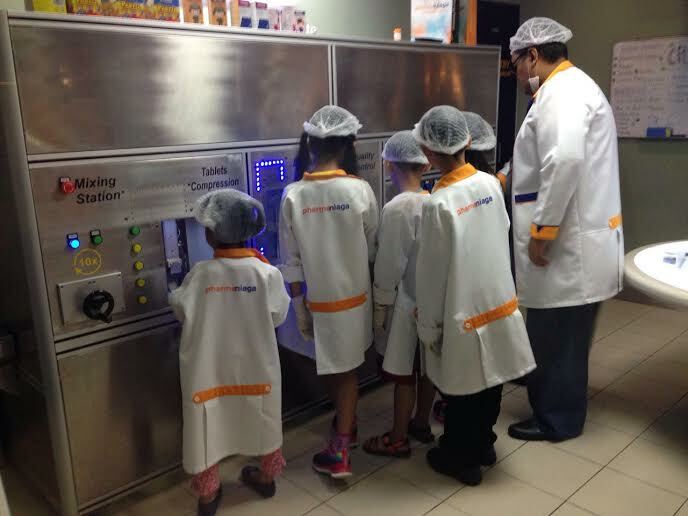 Kidzania is a fun place for kids to learn more. They keep updating their learning program to provide more fun to kids in learning. Betty, agreed with you. Thats why kids love to go there and never feel bored. 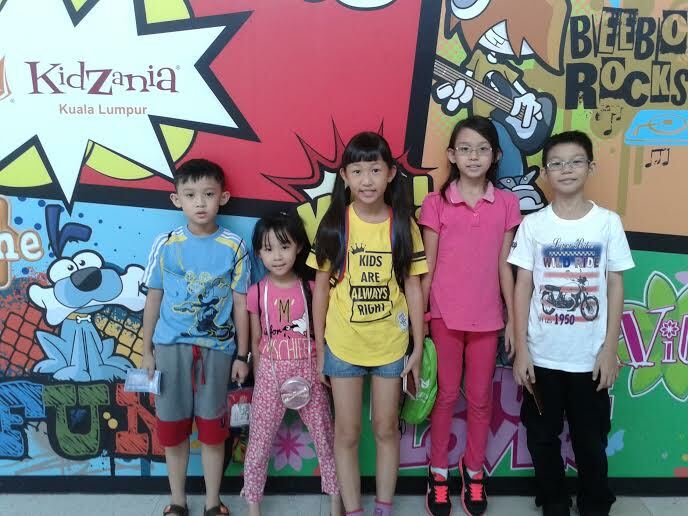 I think every kid should have the chance to enjoy KidZania. It's fun yet educational. They all will learn something there. Emily, kids learned on role playing, responsibility and team playing too. Wow... I have never been to Kidzania although I do have collaborate with them for TV production. Is an awesome place for kids to learn while having fun here. Apple, wow you collaborate with them before ? Must be a great experience. Thanks Ivy for your support. Lim, hope they will have the talk at Kidzania in future too.